This page, I hope, will answer many questions on static electricity e.g. What is static electricity? What is an electric field? How can we produce examples of static electricity? Where in the house or everyday life do you encounter examples of static electricity? Can static electricity be dangerous? Can static electricity be useful? Introduction - making and simply demonstrating static electricity, a tale of FRICTION between materials!!! All matter is made up of atoms, which in turn are made of a nucleus of positive protons and neutral neutrons and a surrounding cloud of negative electrons in their specific energy levels ('shells'). Most of matter, most of the time, contains equal numbers of positive and negative charges so there is net charge of zero and their effects cancel out. However in some situations, you can get a build up of negative or positive charge that cannot flow away like a normal electric current to restore the 'local' zero balance. This is what we call static electricity. We've all noticed at some time the 'crackling' or tiny spark effect when taking off or putting on an article of clothing, particularly with nylon materials, which can also give a similar effect when used as bed clothes. Well, these are examples of what we call 'static electricity' and you may even experience a small electric shock as the static electricity is discharged - through you! The crackling is the discharge of tiny pockets of static electricity produced by the friction of clothes or bed clothes rubbing against each other. The electric charge flow, the current, is so small it is highly unlikely to cause you any harm, but you might experience a little shock - a little prick of pain! Static electricity is a build up of electric charge that cannot move or flow as a normal electric current in a conducting material. Therefore static electricity usually forms in or on insulating materials like plastics (polymers) and glass. Any static charge produced on these electrically insulating material cannot immediately flow away. Static charge is produced when two electrically insulating surfaces are rubbed together. The static charge is results from the movement of electrons due to the friction effect when two insulating material surfaces rub against each other. This produces an excess of electrons (negative area of static charge) in one material and deficiency of electrons (positive area of static charge) in the other material. Note that the positive charge does NOT move, only the negative electrons move in the transfer of charge. The excess of positive charge created will be numerically equal to the excess of negative charge created. The question of which material is positive and the other negative, from the direction of electron transfer, depends on the chemical constitution of the two materials. If the electrons can 'leap' back from a negative region to a positive region, the static electricity is discharged and you see a spark or get a tiny electric shock! You cannot produce static electricity by rubbing a metal rod with a cloth because any static electricity formed would immediately run through the rod into your body or vice versa! However, you can demonstrate static electricity in a very simple way by rubbing a plastic rod with a clean dry cloth and getting to pick up little pieces of paper in which a charge is induced by the electric field of the rod. I used a polystyrene biro case and a small duster cloth used for cleaning my camera lenses (illustrated above). The duster must be dry so that any static charge created cannot drain away - water is a very poor conductor, but it does conduct a little! Image 1a and Image 1b illustrate two possibilities of creating static charge by removing electrons with a force of friction acting between the plastic surface and cloth surface. Image 1a assumes negative electrons are rubbed off by the cloth making it negative and the plastic rod becomes positive (deficient in negative charge - electrons). This tends to happen with acetate plastic rods. Image 2a assumes negative electrons are rubbed onto the plastic rod by the cloth making it negative and the cloth becomes positive (deficient in negative charge - electrons). This tends to happen with polythene plastic rods. I don't know which situation applies to this rod and cloth combination, but that's not the point here. The point is that only one of two possible static electricity creation situations can result from the rubbing of two insulating surfaces together and the resulting electron transfer from the force of friction. The excess of positive charge created is numerically equal to the excess of negative charge created, I've marked 8 + and 8 - on each image! In reality we are dealing with many electrons, not just the transfer of 8 of them, but it simplifies the explanation picture! The direction of electron transfer depends on the nature of the two materials. (1) Getting the rod to pick up tiny bits of paper. I used a few bits of very fibrous kitchen role (a large surface area which helps) and a biro case. 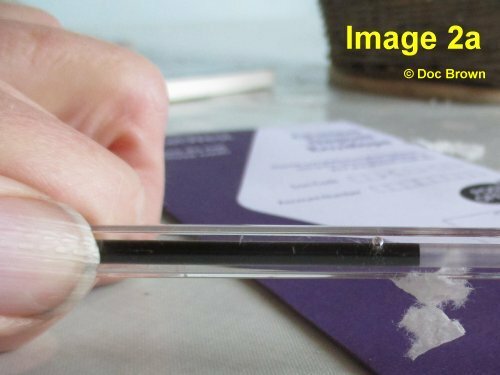 Image 2a: The plastic rod (biro) is charged by rubbing in vigorously with a clean dry cloth to charge it up with static electricity. 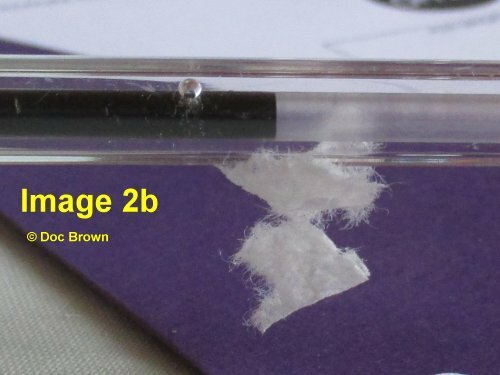 Image 2b: If the charged rod is carefully held close to some small bits of uncharged paper, they are picked up and sometimes as a string. The charge on the rod induces the opposite charge on a bit of paper by pulling or pushing electrons on the paper surface. The opposite charges then attract each other, so the bits of paper are attracted to the rod. The effect can be transmitted to a second bit of paper giving a little paper chain held together by static charges. The plastic rod - paper chain will hold together because both materials are electrical insulators and the electrical charge is slow to drain away. where the dotted line ... represents the electric field attractive force. This is actually a simple test to show the plastic rod was charged up with static electricity. (2) Another simple demonstration of an electric field effect - a true kitchen sink experiment! A simple 'kitchen sink' experiment that clearly shows the effect of an electric field. 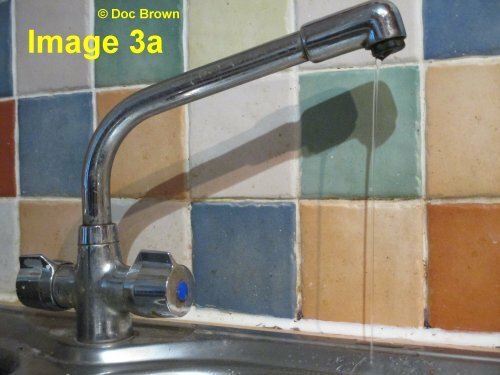 Image 3a: You get the thinnest continuous stream of water descending from a tap. 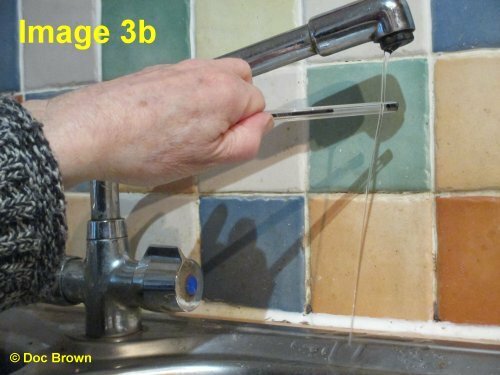 Image 3b: You then charge up the plastic rod (biro) and carefully hold it quite close to the water stream, BUT not touching (this discharges the static charge into the water). The plastic rod is to the right of the stream. The electric field around the plastic rod attracts the water molecules attracting the water stream towards the plastic rod. Water is an neutral covalent molecule (not ionic). However, water is known as a 'polar molecule' and one end is slightly positive and the other end slightly negative (electrically neutral overall). It doesn't matter what the sign of the charge is on the plastic rod. If the rod is -ve it attracts the +ve end of the water molecules, if the rod is +ve it attracts the -ve end of the water molecule. Therefore whatever the rod's static charge sign, the stream of water molecules is attracted towards the statically charged rod. Again, this is a simple test to show that the plastic rod is charged and it doesn't matter whether it holds a positive or negative charge. The deflection shows up better as the shadow on the wall. The gold leaf electroscope consists of a zinc plate mounted in an insulated wooden box with windows (so you see what happens!). Attached to the stem of the zinc plate is a thin sheet of gold (gold leaf). Both metals should not be carrying a static charge. An insulating plastic rod is charged up by rubbing with a dry duster cloth. Let us assume it carries an excess of electrons i.e. the plastic rod carries a negative static charge. If the plastic rod is touched onto the zinc plate, you get a charge transfer and some electrons will flow down into the conducting zinc plate AND the equally conducting gold leaf. Therefore both the zinc rod and the gold leaf have the same negative charge and will repel each other (- -), so the gold leaf moves apart from the zinc rod and curls up. If you then touch the zinc plate with any other metal rod, the electrons will flow into it and the static electricity is then discharged through your hand and the gold leaf falls back against the zinc rod. This might not work if you are wearing rubber gloves! You can also touch the 'uncharged' zinc plate with a positively charged insulator and this time the electrons will flow onto it from the plate making both metals positive. Therefore the gold leaf will rise due to the like charge repulsion (+ +). Look at the diagram and just imagine swapping the -ve signs for positive signs, its the same effect in the end. Note: Because the zinc and gold leaf are themselves insulated from the 'earth', in this case, you can have an electrically conducting material that will hold a static electric charge. In an exam, never say a metal plate can never hold a static charge! What is an electric field? What are the rules on bringing charge together? An electric field is created around any particle or object that has an overall positive or negative electric charge. Any pocket of static charge on an object, when brought near another object that is also carrying a static electrical charge then one of two things can happen. When an electrically charged object is placed in an electric field e.g. from another charged object, it will experience a force due to the interaction of two electric fields. The magnitude and direction of this force is determined by three factors, which are all to do with the strength of the electric field. Also note that both charged objects experience a force e.g. both the objects Q and q move apart or come closer together. If the static charges are alike, two positive or two negative charges, then a force of repulsion occurs between the objects, pushing them apart. This is called electrostatic repulsion, a non-contact force. If the static charges are different, a positive and a negative charge, then a force of attraction occurs between the objects, attracting them together. This is called electrostatic attraction, a non-contact force. This force acts due to the presence of an electric field around each object which do NOT have to be in contact with each other. You can demonstrate rule 1. by suspending two different plastic rods of different static charges and bring them towards each other e.g. two of the same charge brought near each other OR two plastic rods of opposite charge. For oppositely charged objects, the greater the two electrical charges e.g. Q+ and q-, the greater the force of attraction between the charged objects. The strength of the electric field is increased by increase in the magnitude of the charges. If the two charges are of the same sign (+ + or - -) then the greater the magnitude of the charges, the greater the force of repulsion pushing them away from each other. For oppositely charged objects (+ve and -ve), the smaller the distance between the two static charges, Q+ and q-, the greater the force of attraction between the charged objects. The strength of the electric field is increased by decreasing the distance between the charges. If the two charges are of the same sign (+ + or - -) then the closer they are, the greater the force of repulsion pushing them away from each other. Can we map out the field lines of a static electric field (as with magnets!)? An electrical field is created around any electrically charged object. The nearer to the object you get the stronger the electric field effect is. The diagram above shows the direction of the field lines in an electric field emanating ('spreading out') from two isolated spherical objects, one positively charged Q, and one negatively charged object q. The lines of the electric force field go from positive to negative and at right angles to the surface of the charged object. The diagram above forms the basis for showing the electrical field around an object for an isolated positively charge object and an isolated negatively charged object. By convention the field lines run from positive to negative as indicated by the added arrowheads. Here the field lines join up between the two charged particles. If the charged objects are free to move towards each other, the field lines will strengthen, become closer together, as the attractive force increases. (ii) REPULSION: when two objects of the same charge approach each other (two +ve or two -ve). Here the field lines do not join up, but are pushed away from each other. If the charged objects are free to move apart, the field lines will weaken, become further apart, as the attractive force decreases. The closer the field lines are together the stronger the electrical field effect. This happens as you get closer to any charged object OR if the charge is increased, which also increases the electric field strength. You can see this as the field lines get closer to the source of the static charge. See also the three rules in the previous section. The electric field between two oppositely charged parallel plates is quite uniform with all the field lines parallel to each other and all exactly at right angles to the surfaces of the plates. Therefore the strength of the electric field is the same at any point between the plates and will only differ at the ends of the plates where the field lines become curved. Under normal circumstance the potential difference between the earth and any object is 0V (p.d. of zero volts). However, If electric charge increases on an object the p.d. between the object and the earth rises above 0V. If the potential difference is great enough, electrons can leap across the gap between the charged object and the earth. The electrons, effectively an electrical current, can jump the gap to any conductor in the vicinity that is earthed (in contact with the ground), though for small p.d. voltages the gap must be small. e.g. (i) If static charge has built up on an article of clothing, as you remove it the electrons can move through your body to earth via your hands and you feel a 'crackling' shock and maybe see some sparks of light! (ii) As a car is moving along the friction between the car body and the air can cause the build up of static charge because the car body is insulated from the earth by the rubber tyres. As you get out of the car and touch the metal body the static electricity can be discharged through your body to earth and you experience a small electrical shock! In the case of lightning you are dealing with a massive build up of static charge in clouds, and the potential difference between the earth and atmosphere is very large. Consequently lightning strikes ('huge sparks') occur across some pretty big gaps between the earth and clouds with spectacular visual results! The static charge in clouds is caused by ice particles bumping against each other and becoming charged by friction. Lighter positive ice particles accumulate at the top of the cloud and heaver negative ice particles collect lower down. When the number of charged particles increases, at some point, you get a massive discharge of electricity as the oppositely charged particles come together to give a giant spark - a flash of lightning. This is relatively harmless, but sometimes the clouds of negative particles induce a positive charge on the ground and then discharge takes place from cloud (-ve) to ground (+ve), and this is a lightning strike. Unfortunately this positive charge builds up in taller objects nearer the cloud's charge e.g. like tall buildings or trees, and that's why in a thunderstorm you should not take refuge under a tall tree! Being inside a car does protect you because the electrical discharge can run through the car body to earth, but avoid touching the car body until the event has passed! So, sparks occur when there is a big enough potential difference between a statically electrically charged object and any object that is connected to earth (an 'earthed object'). This high p.d. creates a strong electric field between the two objects ('charged' and 'earthed'). In industry, and the home to, you can use of insulating mats and using shoes with insulating soles if there is a danger of an electric discharge through your body. If the electric field effect is strong enough, that is if the potential difference is great enough, electrons can be remove from particles in the air, a process called ionisation and positive particles are formed (+ve ions). Air is a good electrical insulator but the presence of these ions makes it a better conductor so an electrical current can flow. This can be sometimes be seen as a spark because some of the electrical energy is converted to heat and light energy. I've written more about these examples and how to counter the effects of static electricity in final section of the page. If any object can be connected to the 'earth', by e.g. a conductor such as a copper wire or strip, then any build up of static electricity can be safely discharged. This is called earthing the object. You can get an electrostatic shock if you are electrically 'charged' yourself and you touch something that is earthed, so the static electricity runs through you. Similarly if you yourself are earthed and you touch something that is charged, you can also get an electric shock. That's why household circuits and electrical appliances should be earthed for your safety and protection. As already mentioned, whenever certain clothes rub up against each other, the friction between the surfaces can generate static electricity which then discharge causing tiny sparks or tiny shocks. This can cause clothing to stick to you. Polishing surfaces to make them look clean and shiny also generates static charge on the surface and attracts fine dust particles e.g. on table tops. High voltage equipment can create static charge e.g. dust collects on TV and computer screens. You can rub a balloon to give the rubber surface a static charge, it can the induce an opposite charge on the surface of a ceiling and so it can stick there! If the balloon carries a positive charge it will induce a negative static charge on the ceiling surface by attracting electrons. If the balloon carries a negative charge it will induce a positive static charge on the ceiling surface by repelling electrons. This is known as attraction by induction. diagram needed? When you run a comb through your hair electrons can be transferred to the comb giving it a negative static charge. It can then pick up bits of paper (see earlier section). Your hairs might also be attracted to the comb instead of staying in place! When you walk on a vinyl floor or one covered with a nylon carpet you 'charge up' because of friction between you and the carpet, which can result in getting an electrostatic shock by touching a conducting material such as a metal door handle, water tap or even another person! e.g. If you touch a water pipe (automatically earthed) after walking on a floor covered with an insulating material like synthetic carpet or vinyl tiles you may experience a small electric shock from the build up of static electricity on your clothing. Electrostatic sprayers are used in industry to give a thin even coating of whatever is needed to coat the surface e.g. using an electrostatic spray gun to paint the body of a car or any other object that can be given a static charge. An electrostatic paint sprayer (spray gun) gives the tiny droplets of paint a negative static charge. The object to be painted/coated is given a positive static charge. Each tiny paint drop is repelled by any other (like charges repel) giving a fine and even dispersion of paint in the spray. When the spray comes near the car body the negative droplets are attracted to the positive surface of the car body and the charges neutralised as a fine and even layer of paint forms on the surface. The coating is highly controlled and the spray easily surrounds any shape so you don't get shadow regions of no or little paint and neither do you get excess paint thickness either, so very little paint is wasted. The same principle applies to insecticide sprayers which work in a similar way. However you can't give the plants a static charge directly! Instead the droplet-particles of the insecticide are given a static charge and they then, on spraying towards the plant, induce the opposite charge on the plant leaves (induction). So the insecticide is attracted to all over the surface of the plant and coats in an even manner. Its the same principle as a balloon sticking to the ceiling! Static electricity in the form of charged plates across which a large negative potential difference (50,000 V) is applied can be used to minimise the dust and smoke particles in discharges from factory chimneys. The waste gases pass through a negatively charged metal mesh. This large static charge induces a negative charge on the smoke particles or dust. Further up the chimney the negative dust/smoke particle are attracted to the oppositely charged positive plates (again a very high, but positive voltage) and removed from the air before the smoke leaves the chimney. The statically attracted particles collect in the L shaped trays below the positive plates. Every so often the collection plates have to be shaken to remove the collected particles of dust and soot and the trays emptied. This process is called electrostatic precipitation and the apparatus is called the electrostatic precipitator (electrostatic smoke precipitator, to be precise). Photocopiers use static electricity to copy images onto a statically charged plate before printing them. As already mentioned, any object connected to the 'earth' by a conductor (earthing charged objects) then any static electricity can be safely discharged. The most dramatic example is a lightning conductor! As previously described, lightning is a very powerful and potentially dangerously destructive discharge of static electricity. Apart from their obvious danger to human beings, lightning strikes can seriously damage buildings, especially tall ones, were the highest point is nearest to the source of static charge. For example church steeples have a strip of copper from the peak of the spire running right down to be embedded in the ground - earthed. When the lightning strikes, the discharged static electricity heads for the most electrically conductive material, the copper strip, rather than the insulating stone, and runs safely into the ground. Without the lightning conductor the build up of energy at the top of the building is so great it cause physical damage and set fire to roof timbers. As a car, on any other road vehicle, is moving fast through air, static charge can build up on the body of the car through friction. To avoid any irritating or dangerous consequences, you can have a metal contact e.g. a copper strip in a plastic sheath (brown strip on the diagram above) that electrically connects the metal body of the car to the 'earth'. This allows any static charge formed to drain away. If the car is positive the charge is 'neutralised' by electrons flowing from the road (the 'earth') or if the car is negative, then the negative static charge of electrons can be safely discharged to the road. Static charge is easily formed by a plastic surface rubbing against another surface e.g. plastic vinyl floor tiles, nylon comb through your hair, synthetic fibres in clothing, etc. To minimise these effects plastic additives called antistatic agents have been developed to minimise the build up of static electricity. To these plastic products special molecules called anti-static agents are added to the polymer mixture from the object/material is made. These antistatic agents make the surface of the polymer slightly conductive and enough to allow any static charge formed to be discharged and so dispersed to give no noticeable effect. You can uses anti-static sprays to coat surfaces to increase the surface conductivity to reduce the problems of static electricity. Refuelling and filler pipes: When road vehicle fuel tanks at the petrol station, fuel tankers themselves, aircraft fuel tanks etc. are being filled the friction of the flowing fuel against the pipe hosing can create static charge. Therefore, fuel delivery systems must be (most importantly) earthed and anti-static liquid agents may be added to the fuel and/or the hose piping itself to avoid the build up of static charge, that, if discharged, may create a spark potentially causing a fire or explosion. Static electricity can build up on the body of an aircraft as it flies through the air at great speed, so a great friction effect cannot be avoided. Therefore the plane does become charged and this static charge can interfere with communication systems. In a factory, machinery operators using high voltage machines, stand on insulating mats or wear shoes with insulating soles to stop any charge flowing through them to the Earth. Most of the situations I've described will be familiar to most people, but how many of you realise the dangers of very fine combustible powders moving in the air! In the past there have been coal dust (coal mine) and flour (flour mill) explosions due to the friction between moving fine dust particles and the surrounding air. The fine powder particles have such a large surface area that sufficient static charge can build up to create a spark, and then, the 'surface are rule' in chemistry kicks in (rates of reaction factor) and rapid combustion ensues, also because of the large surface area exposed to the oxygen in air! bang and the powder goes!!! Current (I in amps) is the rate of flow of electrical charge. The greater the flow of charge in a given time the greater the current. Q1 If a current of 3.0 A passes through an appliance for 1 hour and 30 minutes, how much electrical charge is transferred in the process? Q2 If 9000 C of charge passes a point in an electrical circuit in 12.0 minutes, what is the current flow? Q3 How long will it take, in minutes and seconds, for an electrical circuit current of 20.0 A to transfer 5000 C of charge? key words key phrases: Appreciate that electrostatics plays an important part in our lives. You investigated some of the ideas of electrostatics and look at the problems caused. Suggested practical and research activities to revise from Carry out experiments to compare how effective different types of duster are Investigate the effect of charged insulators on small uncharged objects. Carry out experiments to demonstrate the forces between charges. Carry out experiments to create static charges, and investigate the effects that result. Recognise that when some materials are rubbed they attract other objects: certain types of dusting brushes become charged and attract dust as they pass over it. Recognise that insulating materials can become charged when rubbed with another insulating material. Be able to state that there are two kinds of electric charge, positive and negative. Be able to describe how you can get an electrostatic shock from charged objects eg synthetic clothing. Be able to describe how you can get an electrostatic shock if you become charged and then become earthed eg touching water pipes after walking on a floor covered with an insulating material like synthetic carpet. Know that like charges repel and unlike charges attract. Understand that electrostatic phenomena are caused by the transfer of electrons, which have a negative charge. Be able to describe static electricity in terms of the movement of electrons: a positive charge due to lack of electrons a negative charge due to an excess of electrons. Know that atoms or molecules that have become charged are called ions. Be able to explain how static electricity can be dangerous when: in atmospheres where explosions could occur eg inflammable gases or vapours or with high concentrations of oxygen in situations where large quantities of charge could flow through the body to earth. Be able to explain how static electricity can be a nuisance: dirt and dust attracted to insulators (plastic containers, TV monitors etc) causing clothing to “cling”. Be able to explain how the chance of receiving an electric shock can be reduced by: correct earthing use of insulating mats using shoes with insulating soles bonding fuel tanker to aircraft. Be able to explain how anti-static sprays, liquids and cloths help reduce the problems of static electricity. IGCSE revision notes static electricity KS4 physics Science notes on static electricity GCSE physics guide notes on static electricity for schools colleges academies science course tutors images pictures diagrams for static electricity science revision notes on static electricity for revising physics modules physics topics notes to help on understanding of static electricity university courses in physics careers in science physics jobs in the engineering industry technical laboratory assistant apprenticeships engineer internships in physics USA US grade 8 grade 9 grade10 AQA GCSE 9-1 physics science revision notes on static electricity GCSE notes on static electricity Edexcel GCSE 9-1 physics science revision notes on static electricity for OCR GCSE 9-1 21st century physics science notes on static electricity OCR GCSE 9-1 Gateway physics science revision notes on static electricity WJEC gcse science CCEA/CEA gcse science experiments in static electricity demonstrations of an electric field effect, why do nylon sheets give you an electric shock, why does a rubbed plastic rod pick up tiny bits of paper? what has static electricity got to do with lightning?